GaREIA Women's Empowerment Subgroup meets the 2nd Wednesday of every month at 7 pm at GaREIA Headquarters. Leader is Jacquelyn Swint. If questions like these have been on you mind constantly, come out as we dissect the city and enlighten you about what is going on. We will explore several ways you can get into the game with no or very little loot and if you don’t have the best personal or business credit. You will leave knowing exactly WHAT you need to do and WHERE you need to be doing it. As I always say, you have to BE there in order to BE empowered. Can't wait to see you there and spill my guts!!! We are looking for women in all areas of real estate including, but not limited to, painters, licensed agents, electricians, handywomen, attorneys, contractors, roofers, hvac technicians, etc. A diverse group of women who have an interest or a passion in real estate investing. We are here to help support one another in our quest to be the best real estate investor and woman that we can be. Whether you are a pro or are just getting started, we want to share skill sets, which will enable us to grow professionally, mentally, financially, and spiritually. To empower women to be the best that they can be in their real estate business and in life. We will discuss the status of the current real estate market, learn how to be a better negotiator, learn various marketing strategies, and other techniques that will enable us to reach our goals. To edify, inspire and educate women by giving them tools needed to start, grow, and maintain a successful real estate business. To build a network of savvy businesswomen and real estate investors in every facet of real estate who can assist in our real estate transactions and in building wealth. To help each other break away from the shackles that binds us from being our best. We will gather input from a wide range of women in the real estate industry and stay abreast with what is working in today’s market. We intend to hold one another accountable with doing what we say we are going to do. We will also discuss how our mindset affects us as businesswomen and as real estate investors. It is vitally important that everyone who attends contribute ideas and information because this is how we will grow thus becoming more empowered. After all, we all have GREATNESS within us. Jacquelyn Swint has practiced real estate for the past 7 years. She started out by attending a “free” seminar that was anything but “free.” That seminar ended up costing $12,000 in which she split in half with a complete stranger. Ms. Swint was so intrigued that soon after she became a seminar junkie and went to every real estate seminar she could find. (Can you relate?) This was the start of the real estate crash at the end of 2008 and people thought that she was crazy getting into the market. Nevertheless, Jacquelyn was so excited that she learned how she could start with very little cash or credit and start out as a real estate wholesaler. Jacquelyn learned how to find distressed properties, such as vacant properties and absentee owners. She did every aspect of the real estate business such as working with buyers & sellers, negotiating, drafting and assigning contracts, closing attorney relationships, wiring instructions, etc. One of the most important things Ms. Swint learned was how to put a home under contract for $1 and/or $10 and then assign that contract (assignment of contract) for a fee. This process seemed very easy however; it would take Jacquelyn 14 months to get her first deal. Ms. Swint says she will NEVER forget her first deal. It was tax-day (April 15, 2015) and her check was for $8000. Jacquelyn was so excited and proved to herself that it could be done. Jacquelyn shared this newfound knowledge with her son whom she taught the business and is now in commercial real estate. After many twists and turns in wholesaling, Jacquelyn furthered her real estate education and expertise. 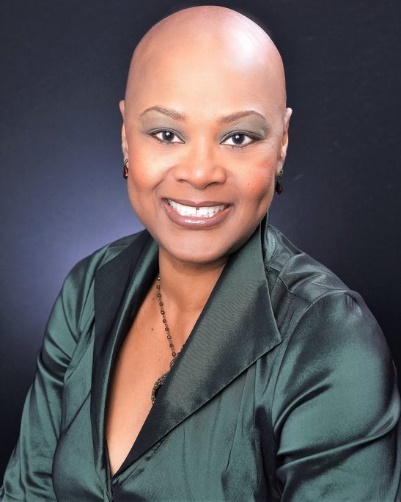 She studied at the Georgia Institute of Real Estate, (GIRE) and is now a licensed Realtor® in the state of Georgia with Berkshire Hathaway Home Services-Ga Properties (BHHS-Ga Properties). BHHS-Ga Properties provides full service brokerage support for all of your real estate needs including an evaluation of your home, residential leasing, commercial leasing, property management, purchasing your first home, down payment assistant programs, investment properties, foreclosures and short sale situations. Jacquelyn makes it her business to know the who, what, where, when, why, and how of real estate. She is very business savvy and makes it a point to stay up to date with what is going on in local communities, familiarizing herself with the housing market, and local real estate values. Whether you are a first-time homebuyer, looking to sell or downsize your home, or a seasoned investor who is looking to flip, renovate and flip, or buy and hold, Ms. Swint can help you locate the property for YOU! In addition, Jacquelyn is familiar with creative financing techniques and has worked with several professional lenders, hard-money lenders, transactional funders, down payment assistant programs, investor programs and loans, etc. and other real estate professionals who can help get the deal done! Ms. Swint is a member of FMLS. She also volunteers with the Atlanta Volunteer Meet Up Group and the Atlanta Women’s Build (AWB) which is a grassroots effort led by individuals - all women - who raise funds to sponsor and construct an Atlanta Habitat for Humanity home for a working mother and her family. We plan on building two homes this year! She is also a member of the Georgia Real Estate Investor’s Association (GAREIA) as subgroup leader of the Women’s Empowerment Real Estate Group. Additionally, Ms. Swint is a member of the Atlanta REALTORS® Association, the Georgia Association of REALTORS® (GAR) and the National Association of REALTORS® (NAR). Jacquelyn is an alumnus of Walden University, in Dallas, TX, where she received her MBA degree. She holds a B.S. degree in Healthcare Administration from St. Leo College in St. Leo, FL. Additionally, Jacquelyn is a licensed real estate agent in the state of Georgia. If you are looking for an “investor-friendly” Realtor®, getting a free consultation, adding to your bank account, or if you just simply want to know how much your home is worth, come out to the group and meet Jacquelyn! Members attend all Subgroups free. Guests attend Regional Subgroups free (Southside, Cobb, Gwinnett, Intown Rehabbers, Northside Rehabbers), and any one Subgroup meeting at GaREIA Headquarters free of charge; subsequent visits at Subgroup meetings at GaREIA Headquarters require $25.00 Guest Fee. Online registration is available until 5:00 pm the day of event; after that time you may register at the door. First time Guests should register at the door. The Women's Empowerment Group meets on the 2nd Wednesday of every month, at 7 pm, at GaREIA Headquarters! We hope to see you at our next meeting! Payment Details: Members attend all Subgroups free. Guests attend Regional Subgroups free (Southside, Cobb, DeKalb, Intown Rehabbers, Northside Rehabbers), and any one Subgroup meeting at GaREIA Headquarters free of charge; subsequent visits at Subgroup meetings at GaREIA Headquarters require $25.00 Guest Fee. Online registration ends at 5:00 pm on day of event; after that time you may register at the door. First time Guests should register at the door.